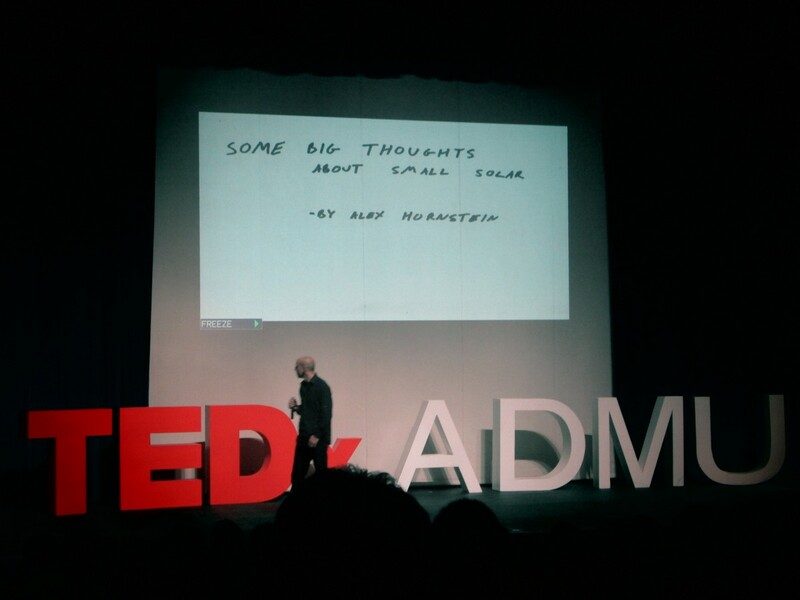 Last Saturday, I was at Ateneo for the first ever TEDxADMU. TED, or Technology, Entertainment, and Design, is a series of global conferences that began in Long Beach, California of “ideas worth spreading” through inspirational talks. The talks don’t have a specific theme and may range from various topics, from introversion to prejudice and terrorism. 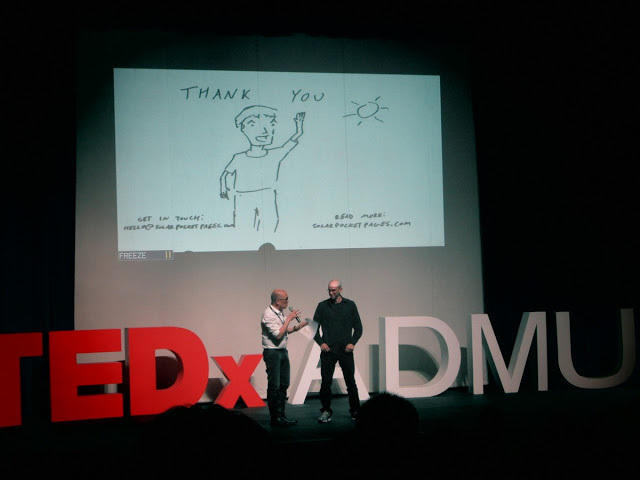 TEDx events are independent, meaning anyone can form a TED event in his local community as long as he follows certain guidelines. 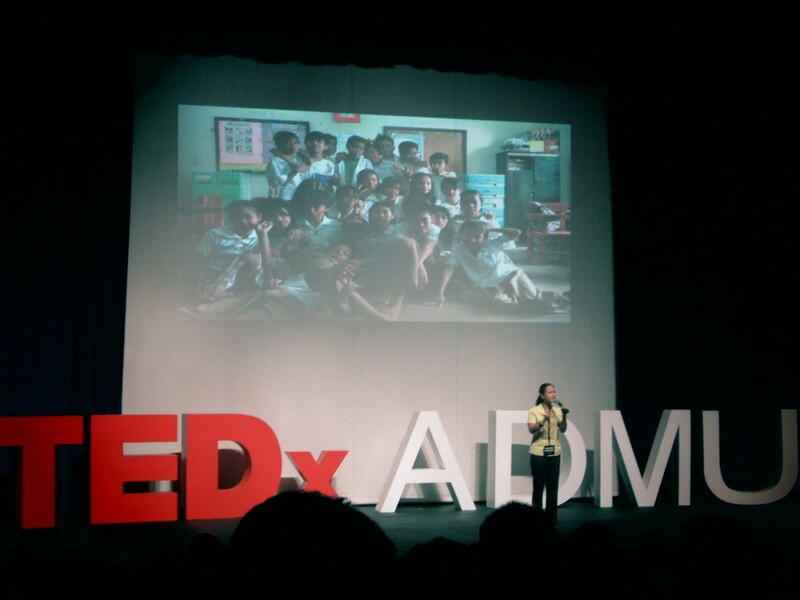 Today, there are over five TEDx events held each day in over 133 countries, with a total of 16,000 TEDx talks. 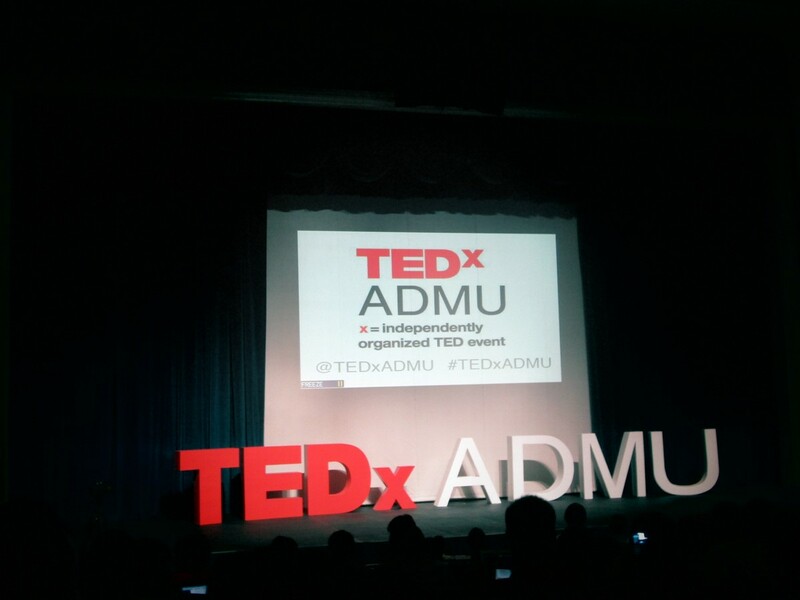 This year’s TEDxADMU was exciting because it was my first time to attend. I didn’t know what to expect, but based on the speakers, I knew I was in for something great. 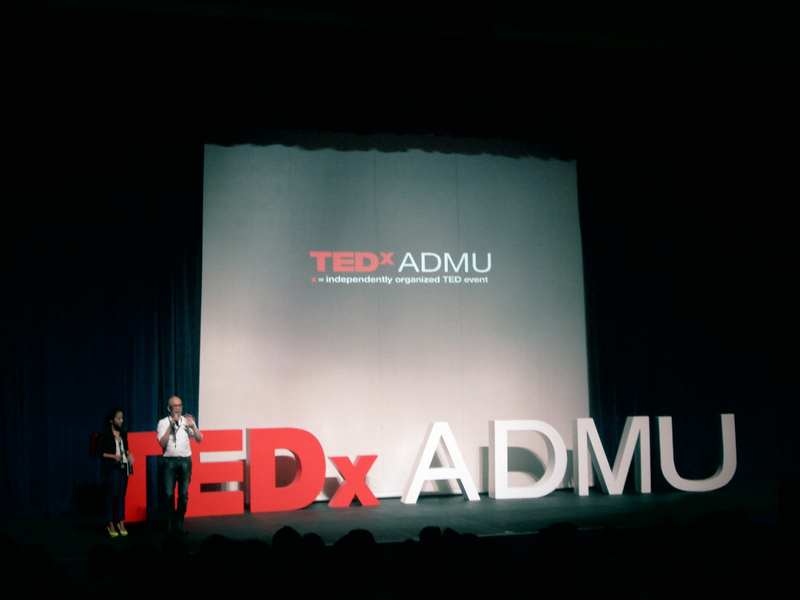 The speakers were Eddie Calasanz, Pepe Diokno, Chris Lao, Alex Hornstein, and Sabrina Ongkiko. The theme was I grow the nation, and I ignite the nation through nation building or ignation. The event was hosted by Boy Abunda and Lia Cruz. 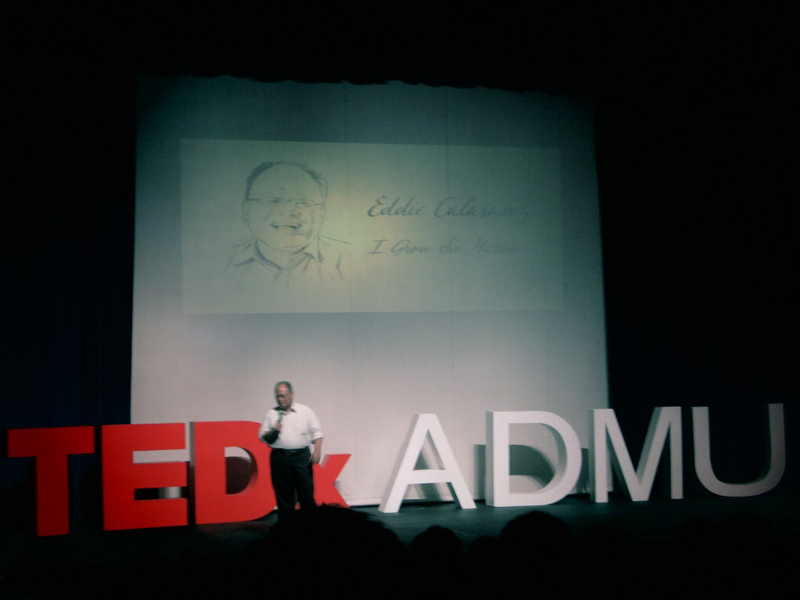 Eddie Calasanz kicked off the event by talking about a student who asked him his purpose in life. Calasanz is Ateneo’s “master” of the Office of the Associate Dean for Academic Affairs, and talked about the philosophical meaning of ambition and greatness. He stressed the importance of dreaming big but starting small, and that you must start with yourself before you start with the world. It takes time, even a lifetime. I was very inspired by his talk, especially now that there’s so many things I want to do but feel like there’s not enough time. I feel like channeling my inner hedonist and just let things go and enjoy the ride. It made me remember this quote from the home of every modern philosopher: Twitter. You don’t have to be great when you start, but you have to start to be great. Pepe Diokno talked about film (of course) and about who killed Philippine cinema. Pepe, who is an award-winning director and my editor for The Philippine Star, lamented on the sorry state of our film. He cited the importance of cinema, which is a country’s records of its culture and identity. According to him, the Philippines has a weird identity because we keep projecting ourselves on Hollywood and its different culture. More importantly, cinema is good for the economy. 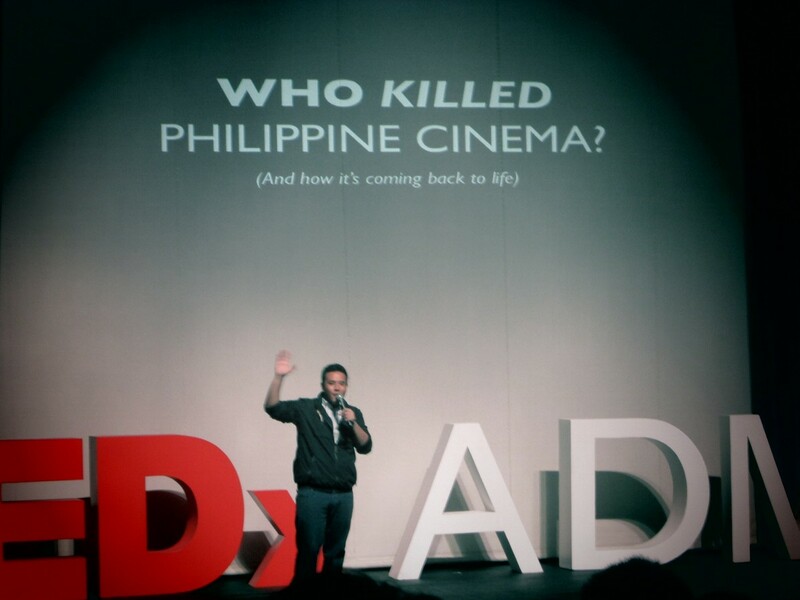 So who killed Philippine cinema? According to Pepe, budgets killed it. Costly expenses and bleak earnings discourage filmmakers, but he remains hopeful that our industry will be like that of Korea’s, which allots budgets for filmmakers. As a result, the Korean film industry has taken the world by storm, encouraging tourism and support of Korean products. He claims that our films and TV shows are making the rounds of the world but we should also support our own, which is one of the world’s oldest. I think most people should stop being pretentious by only watching foreign movies, because there are a lot of great Filipino movies. 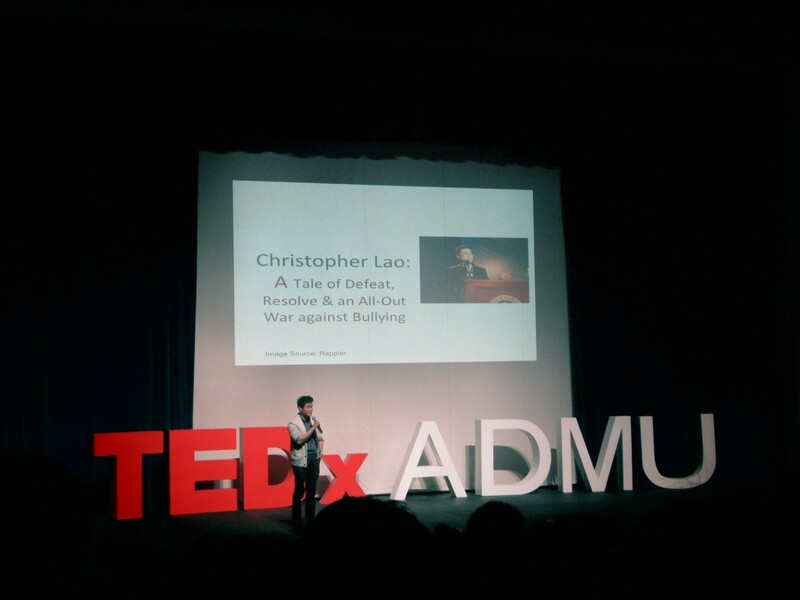 Chris Lao focused on the negative effects of bullying, which he experienced when a viral clip of him ranting about no one informing him about a flooded part of Quezon City hit the web. He recounted his experiences, from the hate mail and mean Facebook pages to his suicide attempt. He was unusually cheerful about it, which he credits to a life-changing trip to Chiang Mai, Thailand. He then shared stories of teen suicides, which is the third leading cause of death among young people, claiming 4,000 lives a year. Heartbreaking. Chris’s final message was that happiness is a choice. I wanted to share my experiences being bullied in high school, but chickened out. I wanted to share how little and different I felt as a kid, but was loved and accepted by a liberal household. My mom was very supportive and never made me feel like a freak. I wanted to share how you only need to surround yourself with people that love you to make you feel special, but I was afraid I’d have a mini-breakdown. Alex Hornstein, co- founder of The Solar Pocket Factory, talked about the benefits of using solar panels as an alternative form of energy. His talk had a lot of jargon and I didn’t get what he said, but I knew where he was coming from and admired his efforts. His dream is for more people to turn to solar energy, which will be much cheaper in the long run. He also hopes for locally-made panels to decrease cost. Tito Boy wasn’t afraid to announce that he didn’t get what Hornstein said, so he went up on stage to clarify things for everyone’s benefit. We got a smidgen of Hornstein’s talk, which was good enough for me. Sabrina Ongkiko closed the conference, and rightly so. Out of all the speakers, she was the only one who got a standing ovation. Ongkiko is an Ateneo alumnus who gave up a future in medicine to pursue public teaching. People have said that it was the wrong decision, her father even asking what the return of investment was. She was inspiring because she seemed so jolly and passionate, totally different from what we hear from stories about public schools. She hates the public school teacher stereotype, claiming there are more good teachers than bad ones. The media only chooses to publicize the worst of the lot while the hardworking ones quietly work. Because of her pedigreed educational background, she is constantly asked if has given up on public school students but she is still happily doing her job. She claimed to have learned a lot from her students, who she loves and has made her a better teacher and person. It takes a lot of faith and according to her, with students from the public school system, to believe is to see. She recounts the story of Darwin, one of her students from Culiat who regularly accompanies her to her talks in ADMU. On one of his visits, he was amazed at the size of the field and ran around, vowing he will study there one day. Today, he is an honor student at Ateneo. And that, she says, is the return of her investment. All in all, the organizers came up with a great conference, and I’m looking forward to attending their second event next year. The P300 door charge was well worth hearing some really great ideas and being introduced to the TED community. An app is available for download with all the talks around the world. Also, Moonleaf Teashop was one of the sponsors so I got to see Tita Thysz Estrada, the amazing and gorgeous marketing director. May I nominate her to speak next year? I commuted to Ateneo, and it was my first time to do so alone. 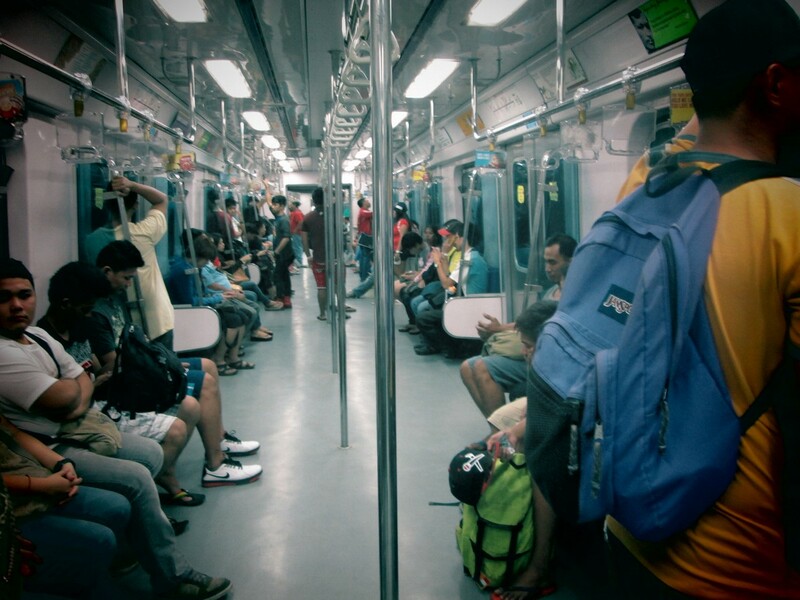 I rode the LRT 2 from Cubao to Katipunan, and I was amazed at the cleanliness and efficiency (compared to LRT1 and MRT) of the train system. 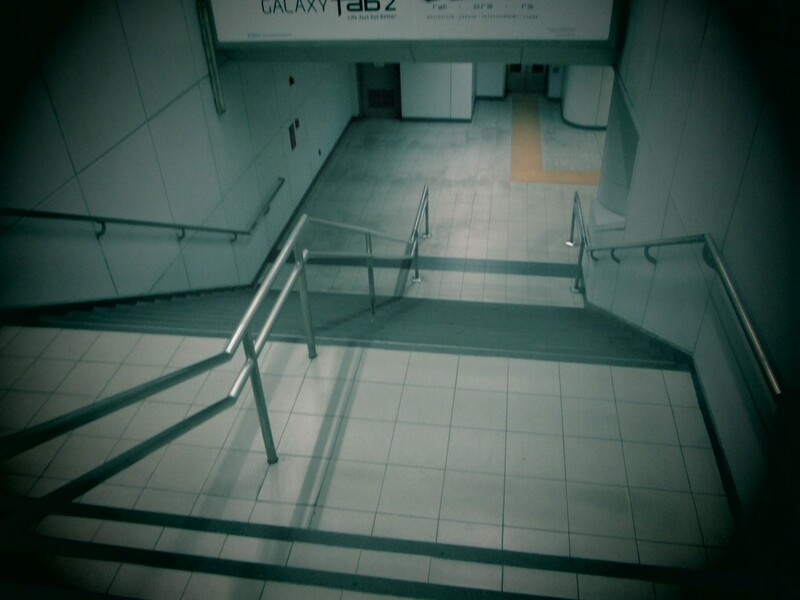 It was surprisingly empty and reminded me of NAIA in the early morning. It was very peaceful and I enjoyed the commute. 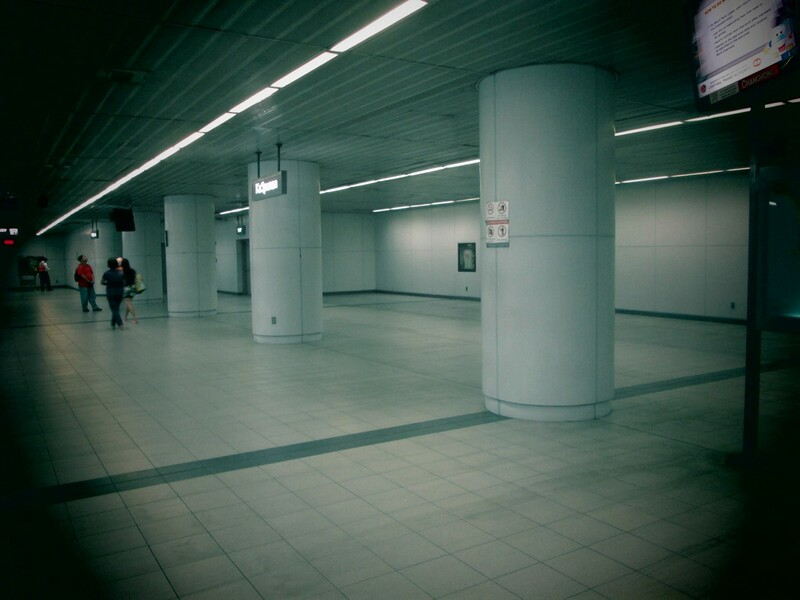 And then I was faced with the riot that is the MRT and was brought back to reality. Why don’t we start with changing the train system? Yes, my life changed in a way that it inspired me to do more and be more. While listening, I remembered this quote I read a while back: You don't need to be great when you start, but you have to get started to be great. Have you attended a TED talk? UP did one recently.